A few things led me to this topic over the past week. 1. I arrived back from glorious Spain to actually quite mild weather, that has suddenly turned cool and has left me in need of a nice, waist skimming jacket, which I am not in current possession of. 2. 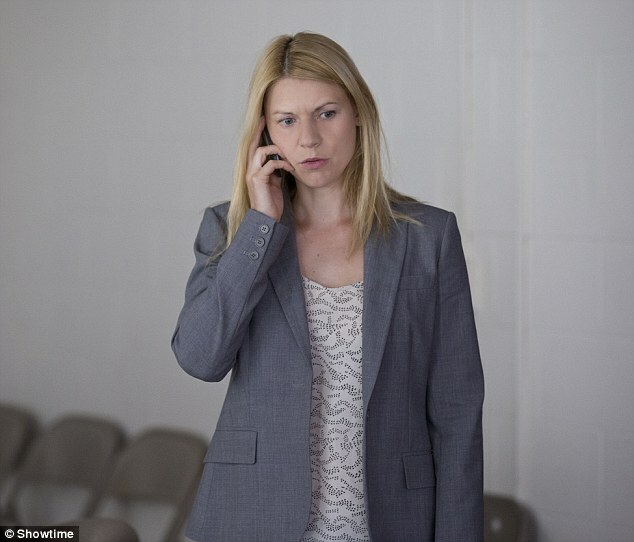 I watched the first two episodes of Homeland season 5 and was simply aghast to see that Carrie is still – two years on and earning big bucks working for a private company – insisting on wearing her grey ill-fitting office suits. Still! For those narrow of shoulder a jacket that fits properly is an elusive thing. Particularly with a blazer, it can give off the distinct impression of a child playing at being a Business Lady until you reach the midsection and the buttons won’t do up. What a conundrum! So what to do? The best option, (as TM pointed out here) is to get one you love in the fit closest to your size and get it tailored. The other option is to go down a size and avoid moving your arms, ever. 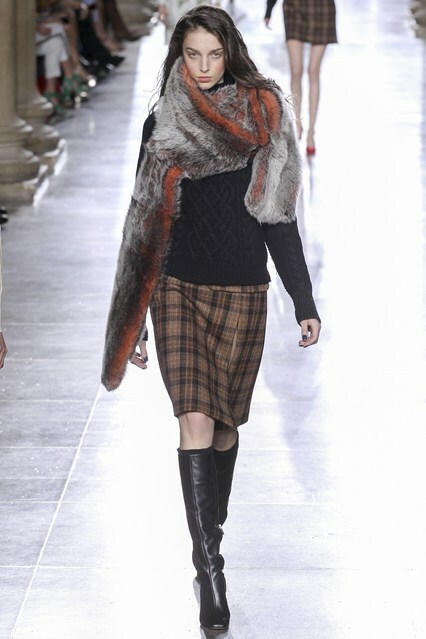 Or, just embrace it and accessorize with big scarves and fun (fake) fur, like I intend to do! So what have we learned? 1. Blazers are your best friend in autumn, look even better with a big scarf or, better still, some fake fur. 2. Carrie Mathison needs to read this post tout suite and then burn all of her horrible suits. 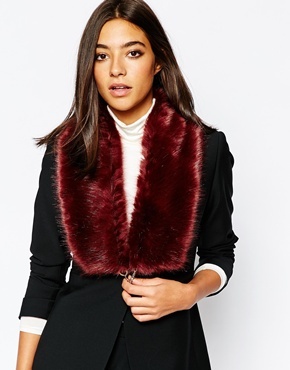 We’ll leave you with a few more styling ideas; jackets and fake fur and huge scarves oh my!